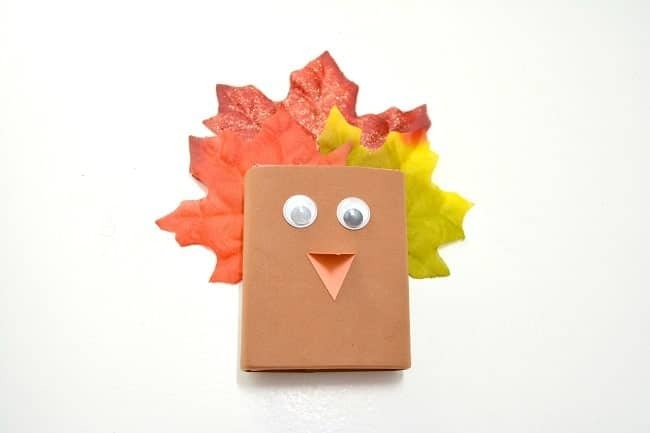 This Raisin Box Turkey is a quick and fun craft to add some Thanksgiving festivity to your child’s lunch box. 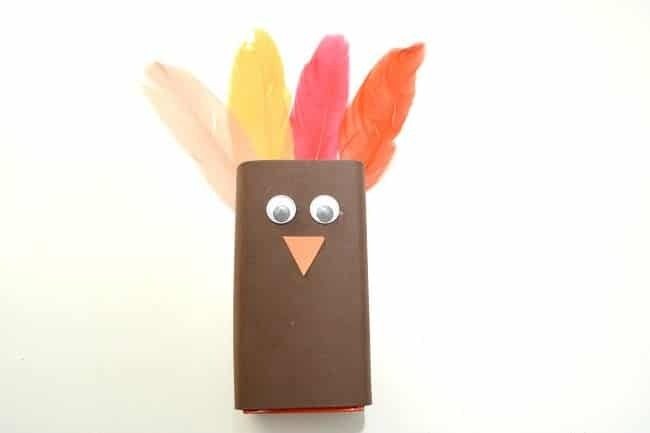 Armed with some basic craft supplies, you can transform an ordinary box of raisins into a friendly turkey. For this project, you’ll need a few craft supplies that you probably already have on hand. 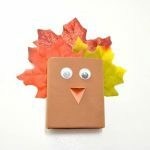 You’ll need brown and orange cardstock, fabric leaves in fall colors, scissors, a pencil, craft glue or a low temperature glue gun, and some googly eyes. And of course, you’ll need a box of raisins to make a raisin box turkey! Lay your raisin box in the center of the brown cardstock and align the bottom of the box with the bottom edge of the paper. Then, use a pencil to mark the top of the raisin box and a ruler to make a line all the way across the paper. Cut the paper along the pencil line. Next, you’ll wrap the brown cardstock around the raisin box. Cut off any excess paper. Then, glue the paper together along the seam. With the back of the raisin box facing you, attach the colored fabric leaves to the back with small dots of glue. Now, turn the juice box around so the leaves are in the back and glue on the googly eyes. Cut out a small triangle for the turkey’s beak from the orange cardstock. Then, glue it on the craft foam just beneath the googly eyes. Ready to make your own raisin box turkey? Print off the instructions below. 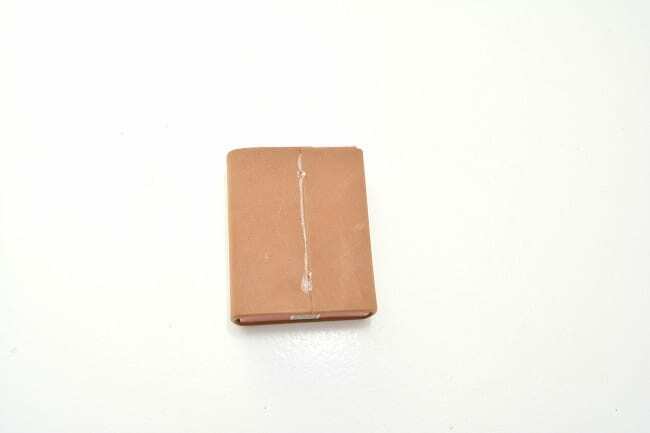 Place the raisin box in the center of your brown card stock. Line the bottom edge of the raisin box up with the bottom edge of the paper. Mark the top of your raisin box with a pencil and then use it as a ruler to trace the line down the length of the paper. Cut out your strip of brown card stock following the line you have drawn. 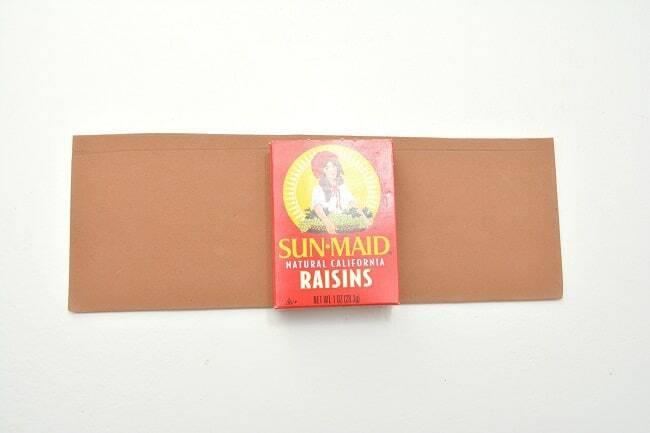 Wrap the raisin box in the brown card stock, cutting off any excess and sealing it in the back with some hot glue. 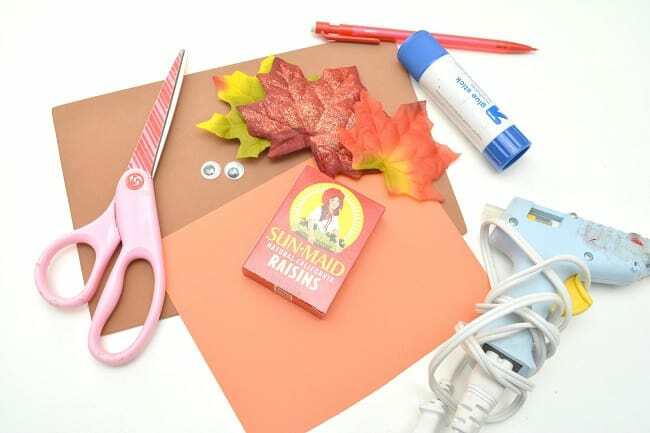 Make two dots of glue on the upper corners of the back of the brown card stock covered raisin box and affix one fall colored fabric leaves to each dot of glue. 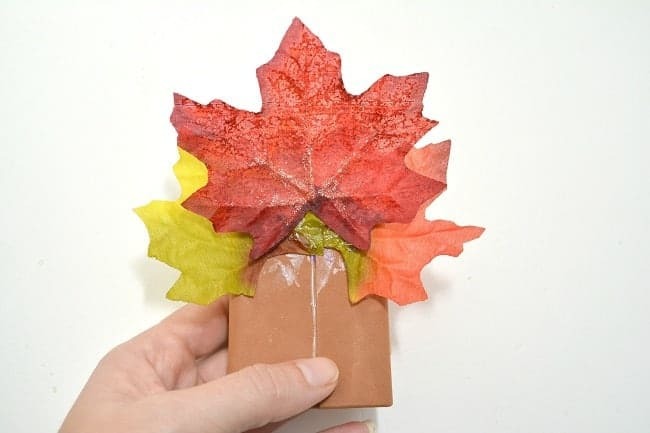 Place another dot of glue in the center a little higher than the others, and attach one more fall leaf in the center. Turn your raisin box over and glue two googly eyes to the front. Cut a diamond shape out of the orange card stock. Fold the diamond shape in half, and attach one side of it upside down to the front of your raisin box to form the beak of your turkey. 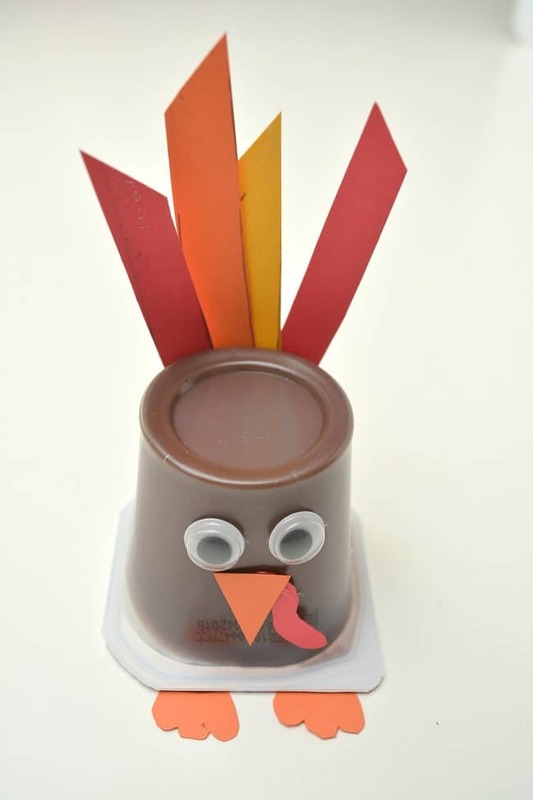 If you liked this raisin box turkey, you might also enjoy making a pudding cup turkey. And this juice box turkey…. 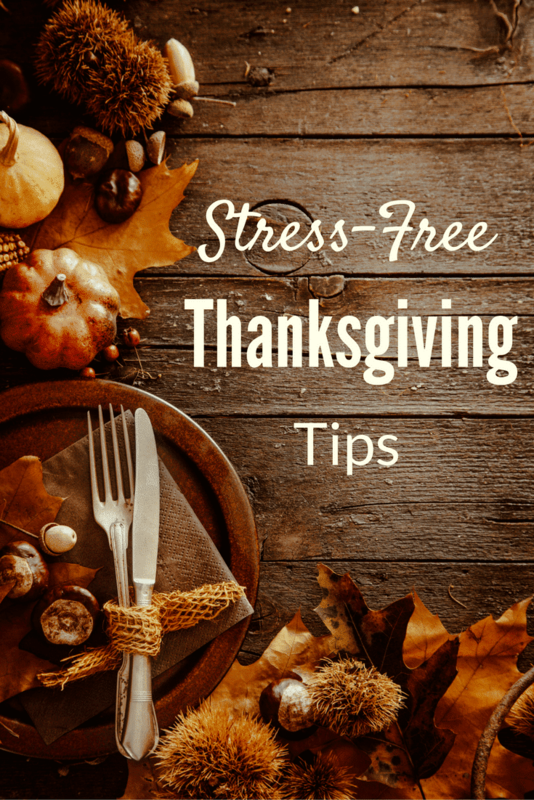 And get my tips for a stress-free Thanksgiving so you can spend more time enjoying the holiday and less time working and worrying!